Cheaper Car Hire Rates in Botswana - Compare discounted SUV, MPV & Minivan rental prices for Botswana. Get quality, discounted car rental in Botswana. Also save on larger vehicles like estates, SUV and minivans. We offer great deals on car hire with Budget, Europcar and Avis, who all offer cars at Gaberone Airport. All the rates quoted include CDW(Collision Damage Waiver) with or without an Excess, Third Party Liability, Vehicle Theft Protection (does not include personal items), unlimited mileage, premium location and airport fees and tax (VAT and GST). Get cheaper MPV and SUV rental rates in Bostwana. Lower cost auto hire for Gaberone and Maun. Rent a discounted minivan in Francistown and Kasane. 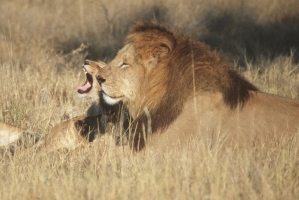 Should you want to see the big five (who doesn't! 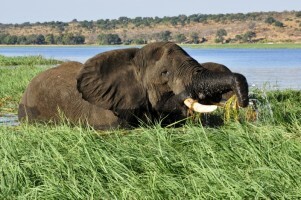 ), then head for the Chobe River, via Kasane, which is home to Africa's largest elephant population of well over 100,000 jumbos. if going on safari and so it is not the best place to go for those on a budget. It is dedicated to maintaining a happy balance between the tourist dollar and preserving wildlife. 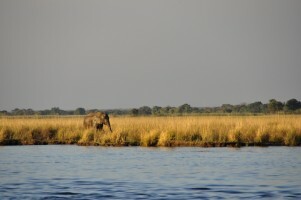 With one of Africa's most stable democracies, Botswana is certainly a safari destination of quality.